Is your organisation prepared for Windows 7 support coming to an end? Here is an important date for your organisation’s diary if you are running Windows 7. The 14th January 2020. This is when support for Windows 7 will come to an end leaving your IT infrastructure open to online threats. According to Netmarket Share 39% of PCs are still running Windows 7. That is a whole lot of people and organisations. If you are one of these, we know this is not the news you want to hear but please continue to read on. What does the end of support mean for my organisation? 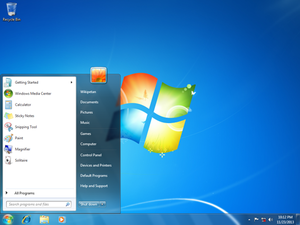 After 14th January 2020 Microsoft will cease to issue operating system updates and patches for Windows 7. You will still be able to use the operating system but this isn’t something we would recommend as it will leave your organisation vulnerable to online security threats. Updates and patches form an important part of your IT security by fixing security vulnerabilities and bugs whilst helping to maintain the performance of your PC. These are especially vital in protecting your infrastructure against online threats which can easily take advantage of security holes within your operating system. With the date set for support to end, the countdown is on to start planning to secure your organisation’s infrastructure security. What should I do to future proof my organisation? If you are still running Windows 7 don’t let your organisation’s infrastructure go unprotected. You should contact NCI Technologies or your IT supplier as soon as possible to discuss your future options. Here at NCI Technologies we can help support your upgrade to help protect your organisation. For further information please call 01326 379 497 or contact us to speak to our friendly sales team.